Your wedding can be whatever your want it to be! I love modern weddings. You know – the ones where the couple do exactly what they want and put on a great party that represents them and their lives. No stuffiness, no BS. Shortly before emigrating from Melbourne to Germany, Betuel and Toshi hosted their wedding in Melbourne with a marriage ceremony at one of their favourite outdoor spots in the Royal Botanic Gardens, followed by a reception at one of their regular beer gardens, The Village. Not a farewell and not a traditional wedding, the whole evening felt like a giant party. And what a party! 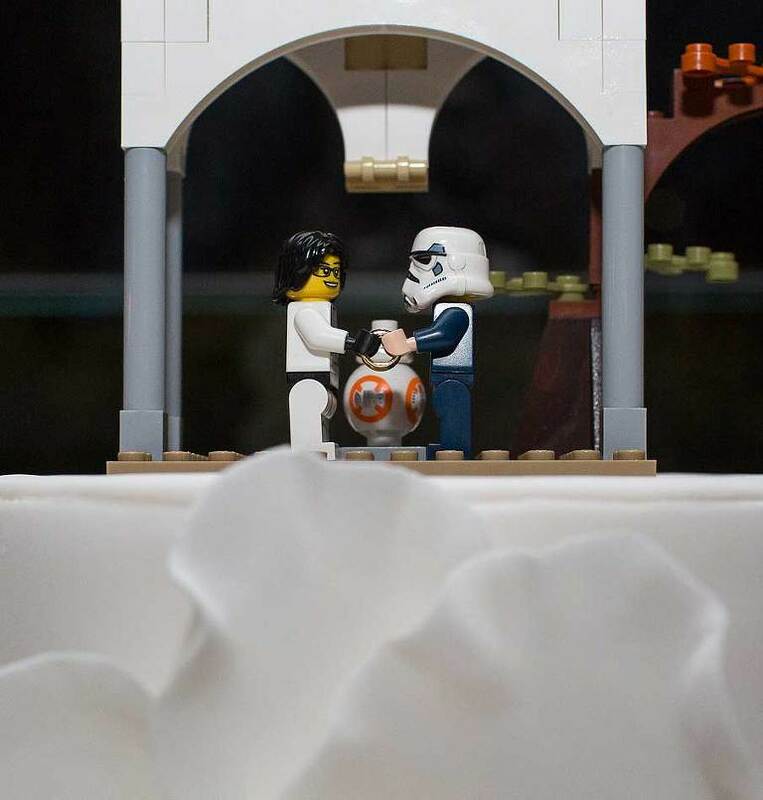 In keeping with doing everything their own way, they created a wedding cake that combined three of my favourite things in the whole world – Star Wars, Lego and cake. Genius! Good luck for your new life in Germany – keep doing things your own way!